This soup is so easy! It’s low in calories but high in nutrients. 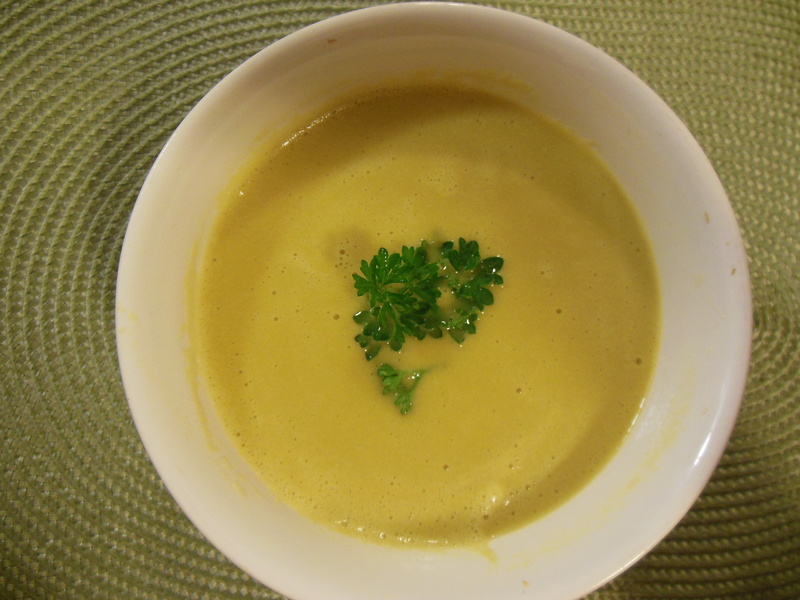 It’s creamy and delicious but without the calories from a heavy cream or the high-saturated fat from cheese. Especially on these chilly fall days, it’s easily moving toward the top of my top 10 favorite soups to pair with some warm pita bread or flat bread and hummus for lunch or as an appetizer soup with a wild rice or quinoa veggie medley for dinner. I actually made this soup this morning before I headed off to work, but I didn’t get a chance to post the recipe until after I got home from play rehearsal. It’s going to be a great show! If you live close to Cottage Grove, OR give yourself a holiday treat and join us at Cottage Theatre for It’s a Wonderful Life. We open Dec 6 and run through Dec 22. Place all ingredients into your high-speed blender container in the order listed. Turn machine onto highest speed and blend for 7 to 8 minutes. (I have a Vita-Mix and heat until I see steam escaping from the vented lid. It’s ready to enjoy. 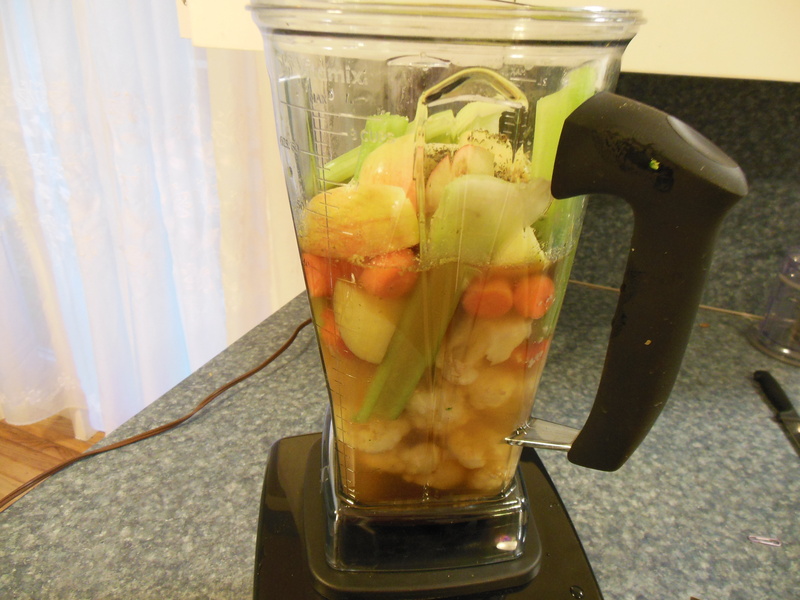 If you don’t have a high-speed blender, finely chop the veggies. Heat a large nonstick saucepan over medium heat, and add all of the ingredients and saute using vegetable broth until vegetables are very tender, but not browned, about 8 minutes. Prep your broth and all your veggies. 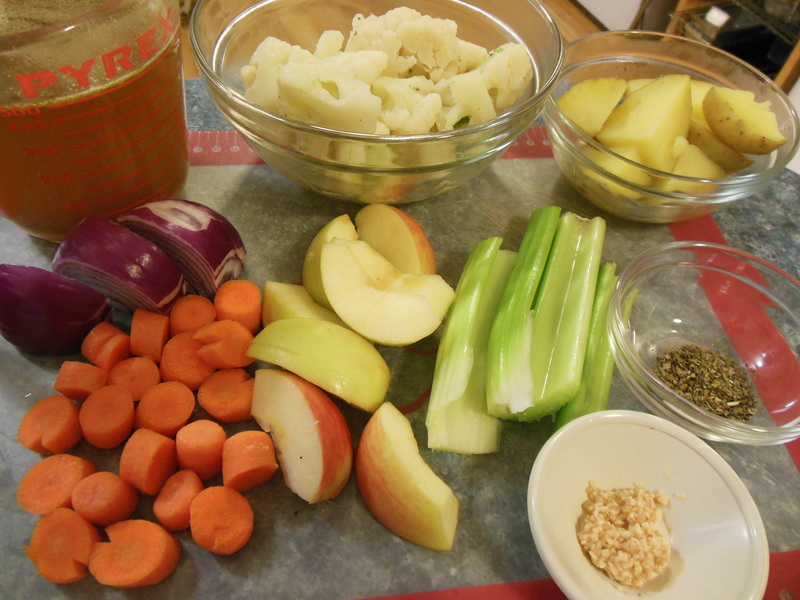 Add broth and all veggies to your blender. 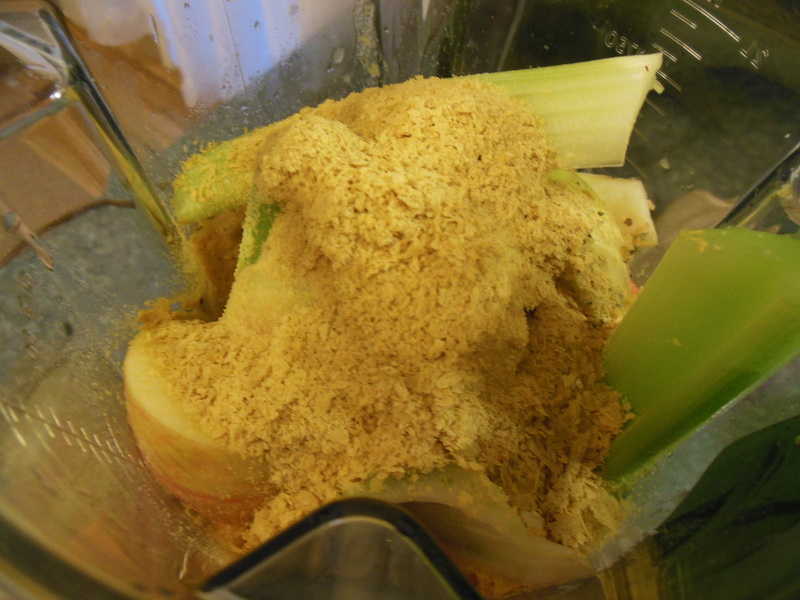 Add the nutritional yeast and blend on highest speed for 7 – 8 min (until steam escapes from the vented lid). 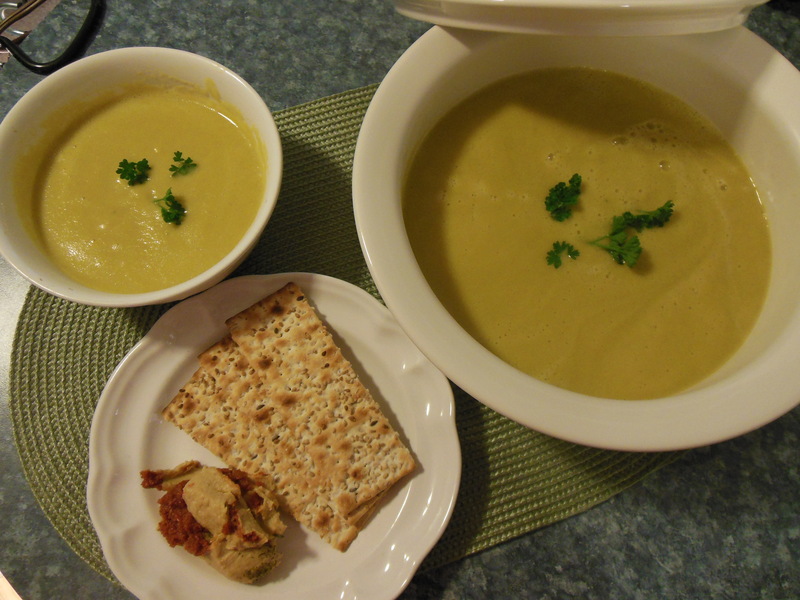 Pour into your soup tureen and enjoy with flat bread or warm pita bread and hummus.